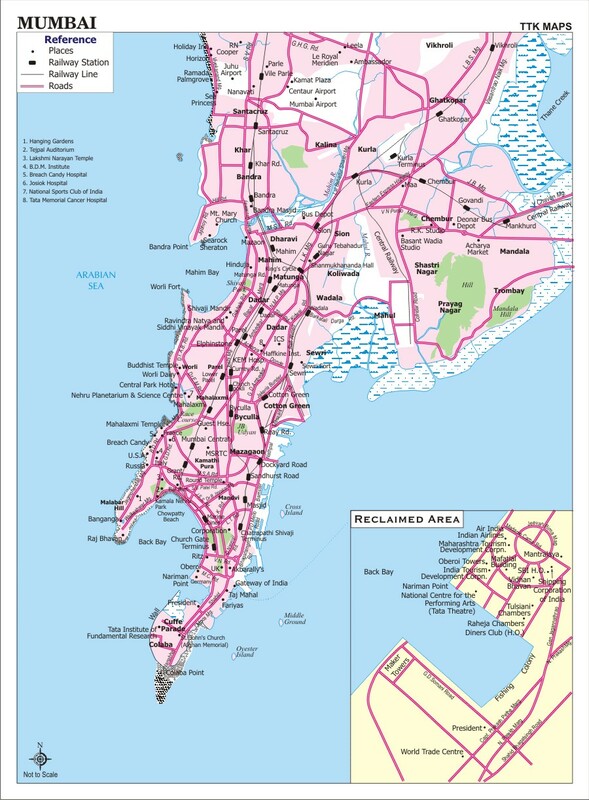 The city of Bombay has changed its name, its name was formally changed to Mumbai in 1995 but the name still used by the West and by many of the inhabitants of the city and its institutions. 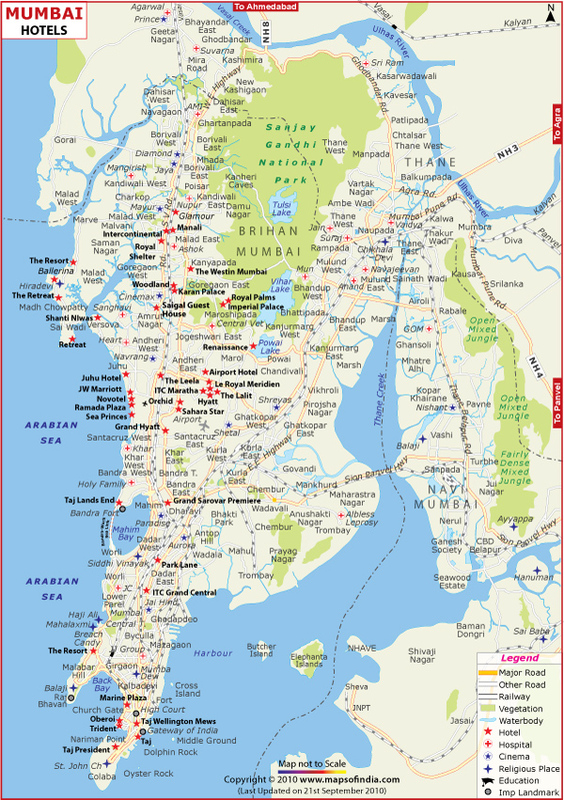 Map of Bombay (Mumbai) stations, railways, roads and squares. 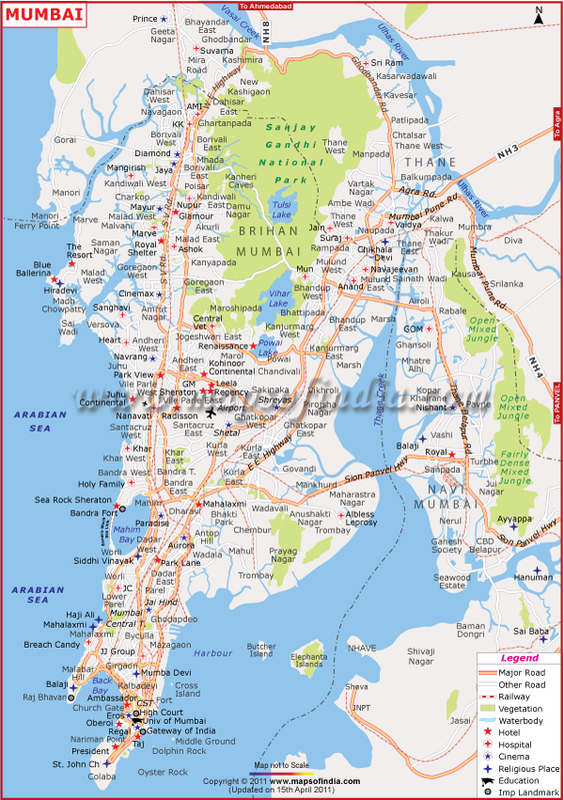 Large map of Bombay (Mumbai) parks, lakes and information around the city and its suburbs. 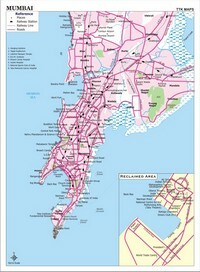 Map of the various districts (district) of Bombay (Mumbai). 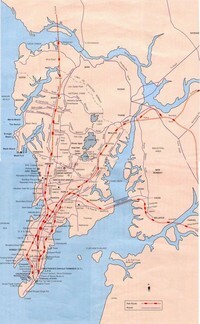 Map of railways and roads in Mumbai Bombay. 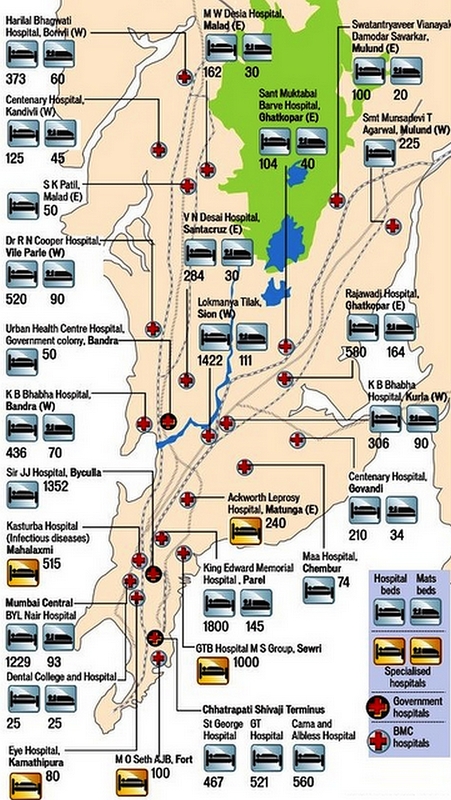 Map of Hospitals in Bombay Mumbai with the number and type of bed, hospital bed or mattress. 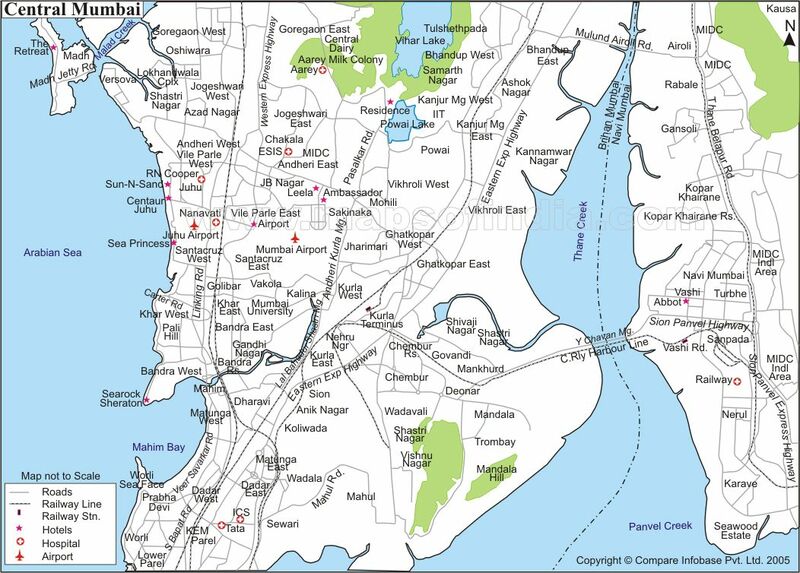 Map of parks, lakes, mangroves and museums of Bombay (Mambai). 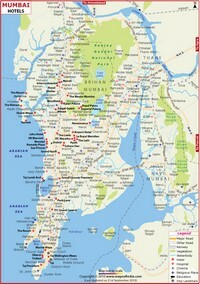 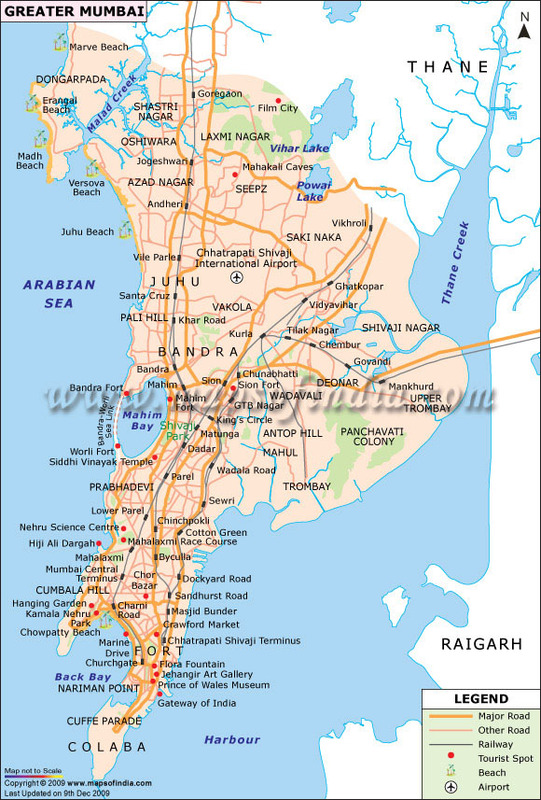 Map of the beaches, sightseeing and aéoroports Bombay (Mumbai). 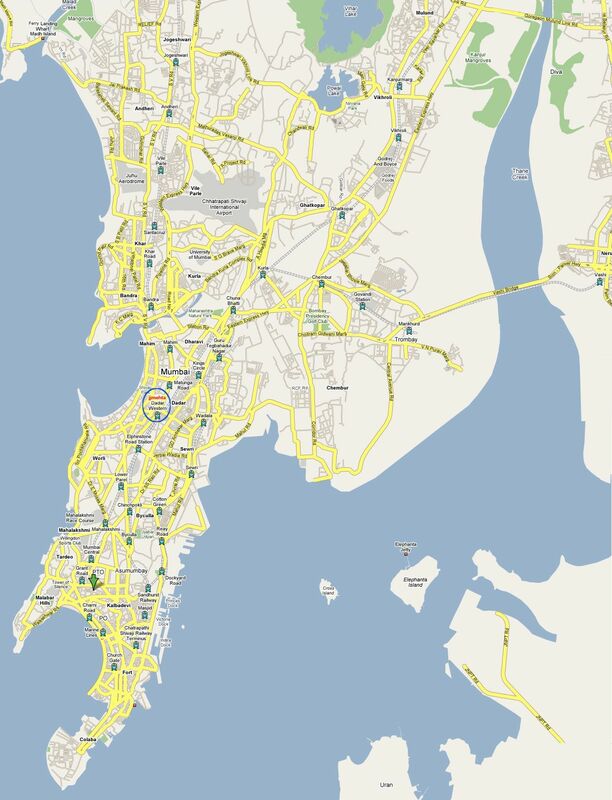 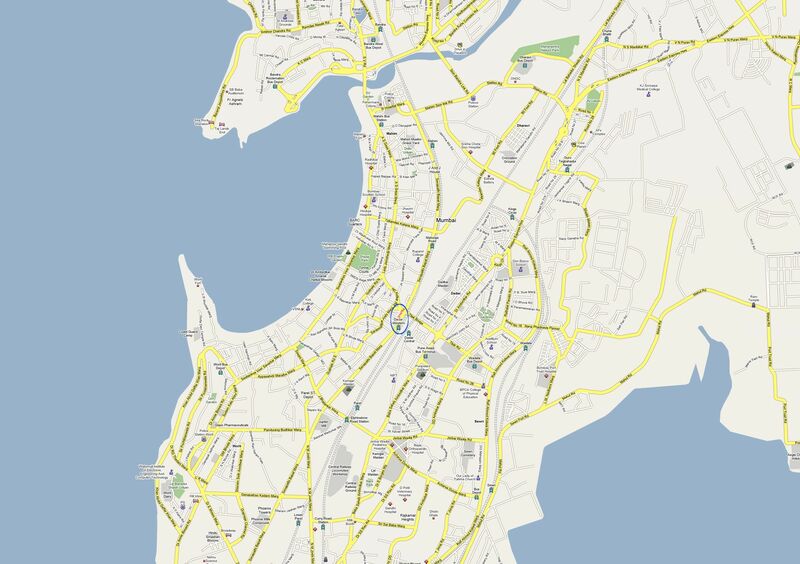 Large map of central Bombay (Mumbai). 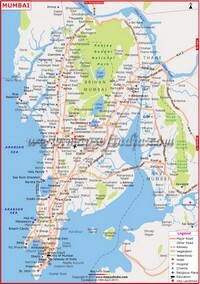 Metro map of Bombay (Mumbai). 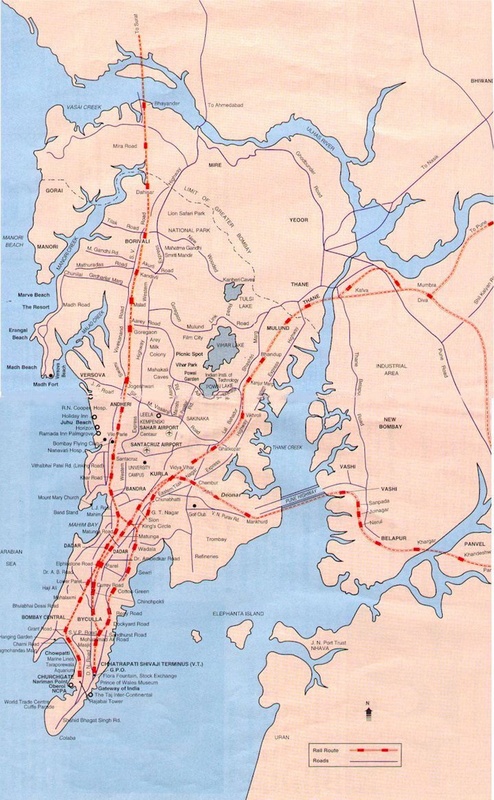 Warning : Metro under construction, the facts before you! 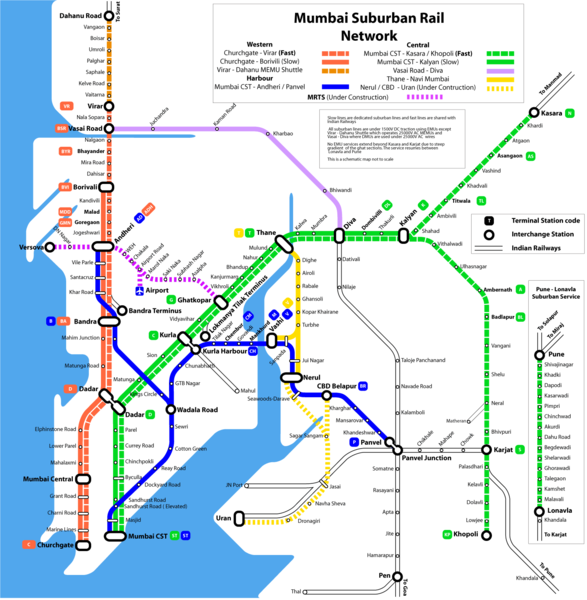 Map of Metro and tram stops in Bombay (Mumbai). 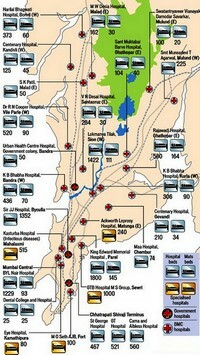 Warning: Metro under construction, the facts before you!